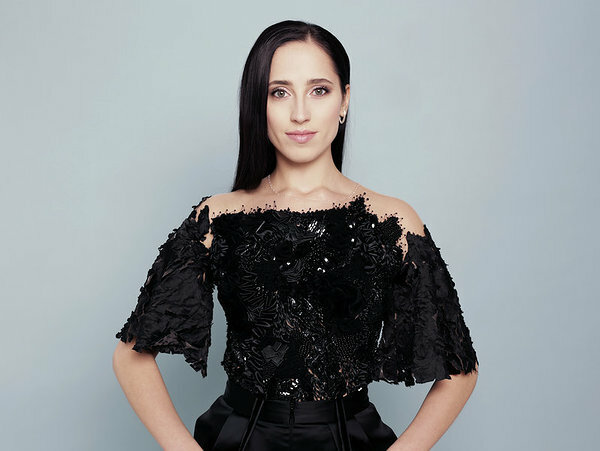 Elina Nechayeva was born in Tallinn, Estonia. She was already singing in a children’s choir at the age of four and started taking singing lessons at the age of 14. She studied in Tallinn for her Bachelor’s degree in music from 2011 to 2014 and from 2014 to 2016 completed her Master’s degree at the Estonian Music and Theatre Academy. In 2015 the coloratura soprano made her debut at the Estonian National Opera as Giannetta in Donizetti’s L’elisir d’amore. From 2015 to 2017 Elina was playing in Estonian Drama Theatre as a guest artist. The singer also appears regularly as a soloist in concerts. Her repertoire includes works by Mozart, Rossini, Mendelssohn, Strauss, Faure, Tchaikovsky and many more. representing Estonia at Eurovision Song Contest 2018 and got the 8th place.